Gift giving has been one puzzling task for every woman; especially when it is about gifting your boyfriend or spouse. Many times you’re confused about whether he would like it or not. Sometimes, you’re in a dilemma between one of the two things that would make the perfect gift and a couple of times, you become simply empty-headed. You have no idea about what to give. You think of something and then realize that you’ve been giving the same thing almost in every other occasion. And to add to the case, constraints like time frame and budget may lead to stress and anxiety. So to save you from the possible circumstances, I’ll be sharing with you some unique and compelling birthday gift ideas that you can present to your beloved on his birthday. Relax, he will love it! Guys and adventure are like synonym. Most of them are adventure freaks. So on his special day accompany him on his fascination. You’ll have to do a little bit of planning for this. Find the perfect place for hike or trek, a jungle safari, or make arrangement for an exciting/ thrilling activity like skydiving, bungee jumping, mountain climbing, rafting, canoeing or one from his bucket-list adventures! There are some category of people who are always willing to visit new places and people. Your boyfriend could be one of them. If he is, you know what to do. Make a list of places on his list and choose one that would be effective in terms of your constraints (time, money, schedule and others). Sponsor the trip or maybe the tickets. And set off to the destination. He should have a set of works to do everyday. But on his birthday, you can let him relax by scheduling an appointment at a spa or Jacuzzi. Check for you budget and make an arrangement for full or partial massage and relaxation routine. If you’re sort of money or you wish to give him a more personal touch, you can be his masseuse for a day. You can learn some techniques from professionals by watching videos on YouTube and perform accordingly. He should be impressed with your efforts. There’s a common saying, home is where the heart is. If he’s an introvert, and finds peace in a quiet ambiance, then take him to one such place you know. On his birthday, let him enjoy every bit of what he likes the most. Maybe there’s a musical show by his favorite singer/musician or a skit play/drama, take him there. A beautiful place with amazing scenario can be another great option for him to relish. Everyone has a favorite pastime activity, so does your boyfriend. You should know it or even if you don’t, just find it out. What does he likes doing in leisure? Reading a book, painting, sketching, playing fifa or anything else? You need to put a little effort and make it more like a private session for the two of you. Arrange a proper location and settings that will give him comfortable feeling. If he loves fifa, you can arrange for a dark room with big screen, gaming laptops, joysticks and sound boxes. Play with him and don’t forget to order some snacks to accompany the pass time fun. Spare some time out of your busy schedule to rearrange things and beautify your King’s mansion. Many (not all) guys have this habit of putting things in very random order that makes their room look quite messy. What you can do is, help him clear out the clutter and add required things to make his place look decent and stylish. If you like, you can entirely replace the old goods with new ones and give the room a nice fresh look. He would appreciate your efforts in coming up with this gift. As a couple you must have visited many places together for the date. How long has it been since you last visited the place where you first met/ dated? If it’s been long, plan for one on his special day. Recall and relive memories from your past days by spending some quality time together with your beloved at your favorite place/places. Repeat things that you used to do while in that place. It will make him feel good. It is said and believed that the way to a man’s heart is through his stomach. If you can make his stomach happy by feeding him good food, you can win his heart. His birthday can be one great occasion for you to show your culinary arts and impress him. This will also be a wonderful and surprising gift to him. But before you jump into the preparation, do a little bit of homework. Find out about his favorite food or the type of food he prefers. It can be subtle or spicy, light or flavorful. Hence being knowledgeable about his preferences will aid your arrangements. Being a girlfriend or wife, you’d definitely want to make your birthday wishes special and different than others. If I’ve got you right, then here is my next suggestion – a delightful birthday video. There must be many memories of the two of you which you’ve captured in your camera or mobile phones. Use these to create an elegant wish video for him. You can do that with an easy online video maker tool Picovico. Remind him of the best of the times you’ve spent together and that you’ll always be with him no matter what. Another option can require a little effort though. If you can arrange his photos from his childhood till now, you can also create a timeline video listing his major achievements so far. It would definitely give him a pleasant feeling and he’d love your gift. You can share this video on his Facebook’s timeline or wake him up at midnight with this surprise. There are chances that he has some hidden skills or fascination which he could not persuade or has left over due to some constraints in his past. If you know about it, that can be a key to your amazing gift approach. For instance, if he had some close connection with playing guitar but he has now stopped playing it, you can gift him a new guitar to evoke his creativity and his passion. Similarly, you can also buy him a subscription for paid guitar classes. No doubt, he’d be delighted to receive this gift. You must have one or more skills that can be useful in this case as well. Dig them out. Are you good at singing? Yes? Then sing to him his favorite song and make his day just as bright as the smile on his face, as he listens to you. This is one such example of how you can utilize your skills to get him a unique birthday gift. If you are creative enough you can also opt for a handmade greeting card, a wonderful sketch of the two of you, a self-woven muffler/sweater, and more. Get a glass jar and fill it with message capsules containing love notes for him. Share smallest of things you love about him. Make it as romantic as possible. Shower love with words. With this, you can make him fall for you once again. Cut your paper up into strips. Select few quotes that you like or create your personalized message for him. Write on the strips using bright sketch-pens. Fold then and put it in the jar. Add some glitters or decorate as per your liking. Compile the pictures of the two of you of every possible dates together. If you remember something about each of these dates, do write it beside the images you’ve pasted in the scrapbook. Make it more like a memory album. You both can cherish this gift and recall the highs and lows of your love life. Organize your pictures in sequential order of your dates (from beginning till now). 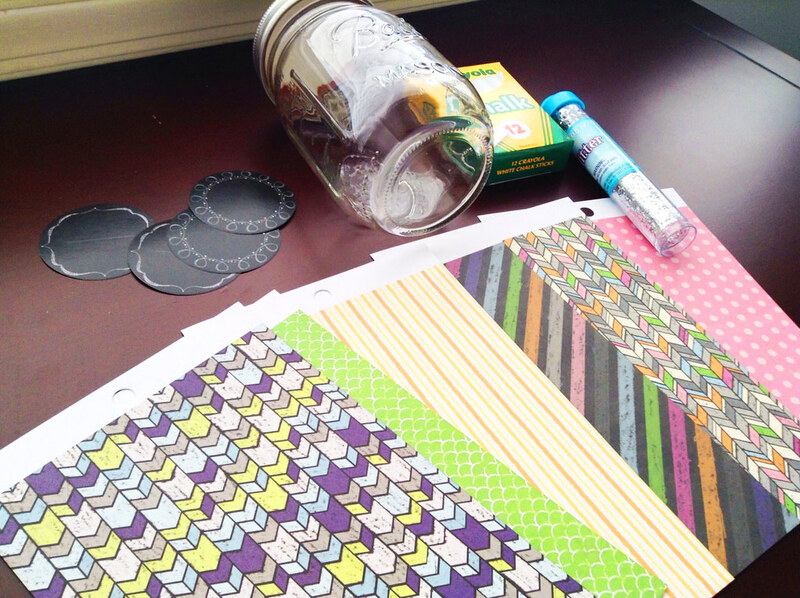 Cut the cardstock to half and use as much as you required to paste your pictures. Glue the pictures on each page. Fill in the empty space with text messages and stickers. Once done, punch holes on card-stock and tie them with colored ribbons. Kisses are usual way of expressing love. But the sad part is they last as long as you two are together. So what you can do is wear a favorite lipstick and smack it on a canvas creating a beautiful lipstick art. You can then frame it and gift it. This way he can ever secure your love and kisses in his favorite wall. It will also remind him of you whenever he looks at it. Take a white cardstock and cut a piece slightly larger than your frame. Wear your favorite lipsticks one by one and smack it around the cardstock. Then frame your kiss print. If you like, add a personalized note on the back. Decorate it in his bedroom. Beer with love message will never fail. He’d enjoy both the beer and your messages for him. He will appreciate your creativity and your efforts in coming up with a gift like this. Cut the card stock in correct size that would fit in as beer labels. Come up with some humorous and interesting slogans and get them printed on the cardstock. Or you can get more creative and use sketch pens to write the slogans on your own. Adorn each of these labels with Puffy Paint, stickers and craft foam. Now this is something unique. Since it is a necessary item for every guy, you don’t have to worry about him liking it. However, you can alter rosemary with others if he’s allergic to it. And again, every time he shave, he’ll remember you. So that’s a really sweet way of reminding your beloved that You Care. Add 1/3 cup each of shea butter and virgin coconut oil and stir until just melted. Take it off the heat and pour to a heat-safe bowl. Add ¼ cup of jojoba oil, 10 drops of rosemary oil, 3-5 drops of peppermint oil and stir to mix well. Refrigerate the bowl until the mixture becomes solid. Take it off the refrigerator and whisk using a hand beater until light and fluffy. Transfer it to a jar and store in a cool, dry place. To a creative personality who loves it quite a different way, this customized DIY chess set made out of nut and bolts will make an ideal gift on his birthday. Even if he is not, he’d definitely want to keep it on the display for the arriving guest to have a look. Arrange them as shown in the picture or you can be creative and give your own design to the pawn and piece. Organize them in correct order and place it on his table. Wait for his reaction. For Pawn (16 ea.) = ½” hex bolt (1½” tall) + 1 flange hex nut. This is another sweet way of conveying your love. Not only does it contain chocolates but will create a way to reach your messages to him. He will first enjoy your letter and then the chocolates. Compose a message for him. Replace some words with their synonym chocolate names to make it either romantic or funny. Rewrite the message in the card-stock. Leave enough space to attach the candy/chocolates. Take a piece of leather and cut it large enough to accommodate your laptop. You can use the excess piece for the strap. Using the adhesive spray, adhere the felt to the backside of the leather. Now blanket-stitch the free edges one by one. Check the size by inserting your laptop into the partially constructed sleeve. This would give you an idea of where your next stitch should be. Stitch all the way through the predetermined line. Check to see if the laptop snug fits and then cut off the extra material. Sew in the button and use the extra pieces of leather for the cover strap. Does he love JD? Yes? 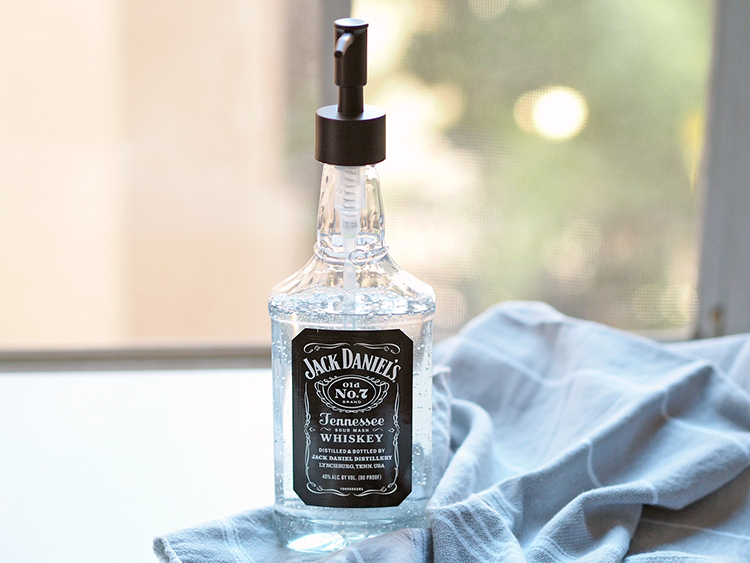 Okay then, here’s a cool way in which you can change his favorite liquor bottle to a daily usable soap dispenser. First enjoy the whisky, later you can work out with the empty bottle to get the desired. Empty a bottle of Jack Daniels and carefully rinse it out. Be careful with the label getting wet. Fill the bottle with a good soap. Pop a dispenser pump on top. Candles are just some normal gift when you buy them but will make a great impression on the receiver when you let them know that you’ve made it on your own. It will be a symbol of your hard work, dedication and will be scented with the smell of your toil. Create a free-hand sketch or design that you want on your candle. Using a ballpoint pen, firmly trace your design on the candle. Penetrate your initial tracing with a linoleum cutter. Make the line deep enough to fit the tip of a gold leaf pen. Fill in the carved lines with a gold leaf pen. If you need it darker, increase the level of coating. When done, let it dry and gift it to your sweetheart. Looking for Birthday Gifts for Girlfriend? 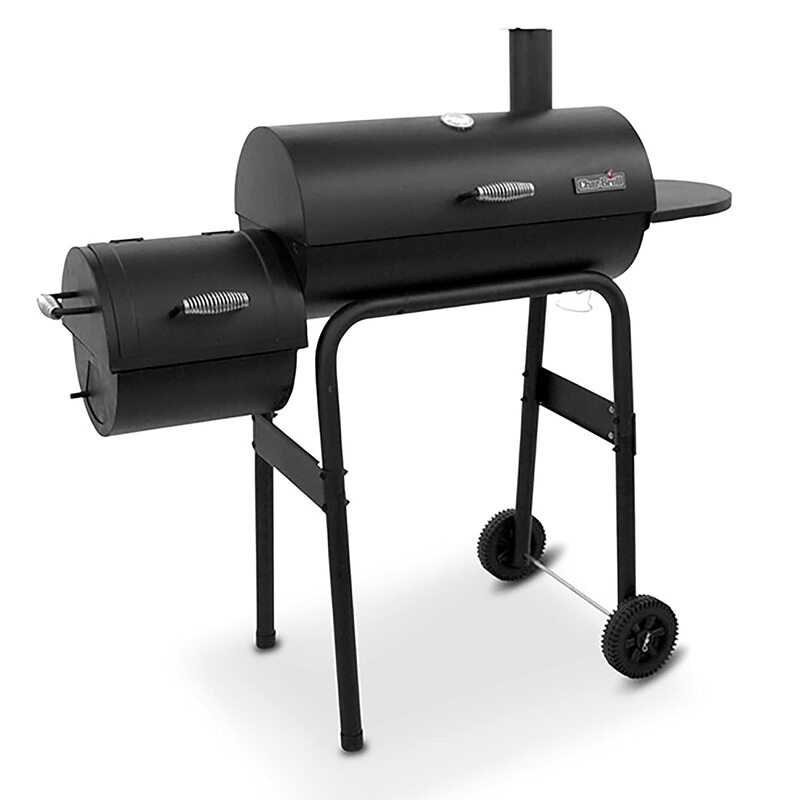 This smoker is a perfect gift if your boyfriend is a BBQ lover who is fond of smoked meats, authentic BBQ or any meaty delight. This small sized gourmet smoker is easy to fit in the tiniest space of his backyard. Get details. This can be another great utility asset for your iPhone user boyfriend. 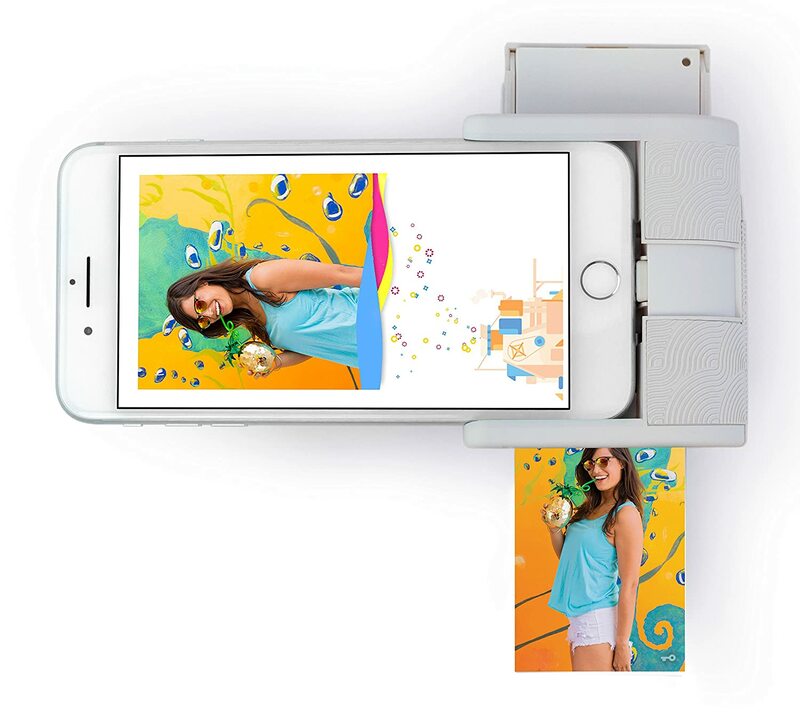 This tiny printer allows to print photos from connected iPhone (even Instagram) in 30 seconds. The best part is, you don’t have to worry about the ink to finish because it does not use one. Get details. 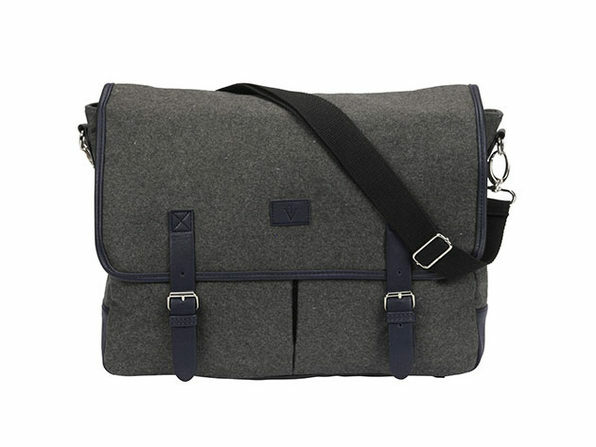 A charging messenger bag can be a valuable asset for your travel loving boyfriend. He won’t have to carry an additional outlet for charging his smartphone, making the package light and spacious to fit in something extra. Get Details. Does he love taking snaps every time he sees something different? If yes, then a Polaroid camera can be a best thing to gift. Hand him the camera and you be the model. He will enjoy the shots and you enjoy the photographs. How cool is that? Get Details. If your boyfriend is a party freak, this is a perfect game for his weekend parties. Here the players get a series of beer challenges that they need to accomplish. The game is accompanied by the risk of elimination. It is always fun to gift him new and exciting game ideas for his recreation. Get Details. A handy speaker can be very useful to him. He can play it at house parties, gatherings, swimming pool, while on a trip or a trek and whenever required. If he doesn’t owe one, this is really going to make him happy. Get Details. An electric toothbrush can be an ideal gift for your lazy lad. Help him stay fresh twice a day by making it an effortless task. Also, it is quite trendy these days so let him experience how it feels to have one of his own. Get Details. What is his favorite emoji? Definitely the one that he uses quite often while texting you. Get him a custom cushion of this emoticon. This can be a fun thing to give. And I am sure he’d love it. Get Details. A great gift for sporty people, ice towels are easy, light weighted, doesn’t melt and doesn’t require refrigeration. Help your active man relax and stay cool on hot, sunny days and while exercising. Get Details. Who doesn’t like chocolates? Likings can be different based on the preference, but everyone enjoys to have some sweets. However, for now, I am not talking about the normal ones. You can order special custom chocolate boxes with your message on them. Chocolates + love message = Happy Him! Overdose him with the sweetness of your love. Get Details. Dusting the floor can be a tiring job made easy with these mop slippers. If your boyfriend is one lazy lad, this gift will help him keep his house clean as he moves back and forth from bathroom to kitchen. This is fun as well as a very useful gift you can give. Get Details. Does he say he needs coffee every morning because it helps him poop? Then here’s your gift to him – a ceramic poop shaped coffee mug. It’ll make him laugh out his stomach. And no doubt, he’ll like the gift very much. Get Details. Here’s another funny gift I’ve found through the internet. They are actually selling this football game made for toilet time leisure. That’s actually very creative and funny at the same time. It’s better to engage him in a real-time game than letting him stay busy on his smartphone. Get Details. Want to create a Birthday Invitation Videos?